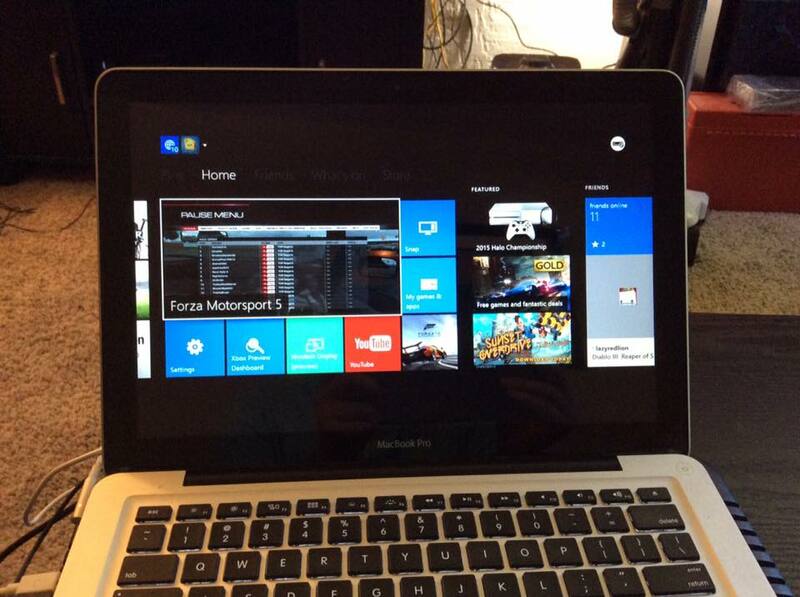 Streaming Xbox One to Windows 10 is awesome! This weekend I finally got around to checking out the Xbox One Preview program and that means I finally got my hands on my most anticipated Xbox One feature: streaming to Windows 10. With the new Xbox One software and Windows 10 you’ll be able to stream games to your Windows 10 PC via your in home WiFi or Ethernet. This feature introduces a plethora of exciting possibilities as all of a sudden you can access your Xbox anywhere in your house. I’ve already found it incredibly useful to stream my Xbox One to my MacBook (running Windows 10 Preview via Boot Camp) while our living room TV is in use (i.e. Vanessa is watching Lifetime movies). It works incredibly well, with absolutely no noticeable lag (over my 5GHz WiFi) or hiccups. The best part is it doesn’t just stream the game to your PC, it streams the entire Xbox One dashboard experience. Therefore you can check in on friends, or swap between games by heading to the home screen, just as you would when playing through a TV. You can connect your Xbox One controller to your PC and play that way, however I’ve found when doing so the home button on the controller doesn’t work (instead there’s a home button in the Xbox App UI you can use), so I’ve left my controller connected to my console and haven’t had any issues. It even reaches into the bedroom (which admittedly isn’t too far from the console) which is nice because I can plug a headset into the controller and game in bed if I want. You can also use HDMI out on your laptop or PC and play your Xbox on a different TV without having to move your console. 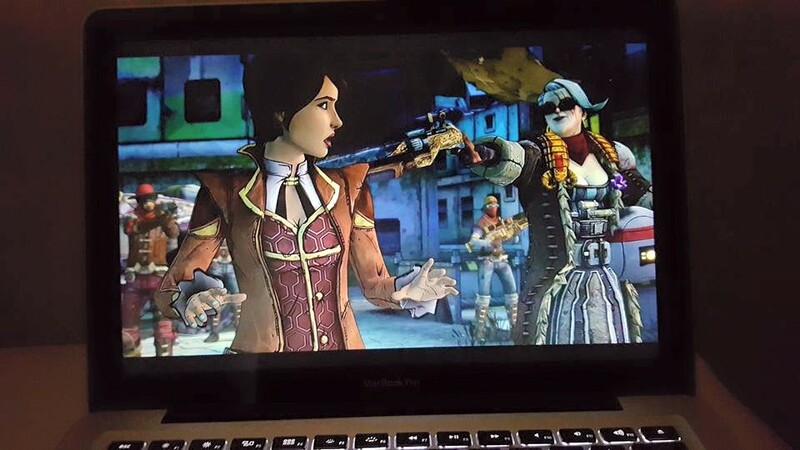 This weekend I was playing Tales From the Borderlands in the bedroom while Vanessa slept (headphones plugged into the controller). The experience has been absolutely wonderful so far, but there are even more possibilities that I haven’t even tried yet. For example, you can play multiplayer where one person uses the TV and the other a laptop. Now both screens will be a mirror of each other, but you may end up with a better viewing angle using the second screen. I’m absolutely in love with the streaming to Windows 10 feature, and I can’t wait to check out some more Xbox One / Windows 10 features! This entry was posted in Video Games and tagged preview program, streaming to windows 10, streaming xbox one to windows, video games, Windows 10, Xbox One, Xbox One Preview. Bookmark the permalink.